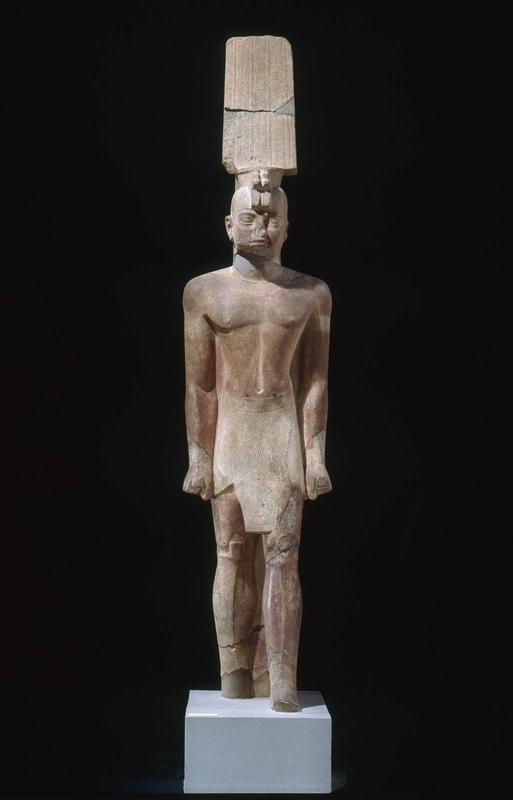 Colossal figure of King Anlamani, inscribed down a column at the back. He weas a headdress that is broken and mended. Two uraei are on the forehead of the headdress. Part of the headdress and the neck are restored. The nose is chipped. He wears a kilt with incised lines and a plain waistband. His arms are at his side, and his fists are clenching steinkern. He is striding forward with his left leg. The feet are broken off. 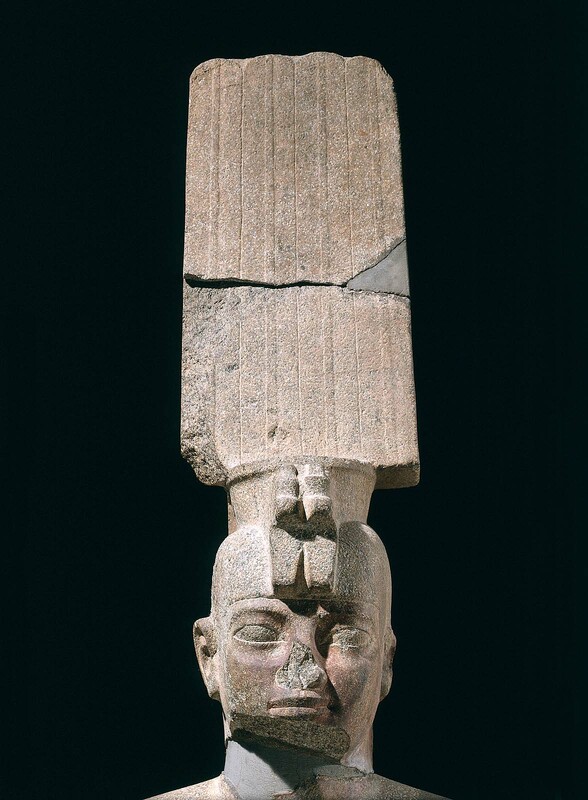 From Nubia (Sudan) Gebel Barkal, temple B 500 A (upper part of feather headdress from temple B 904). 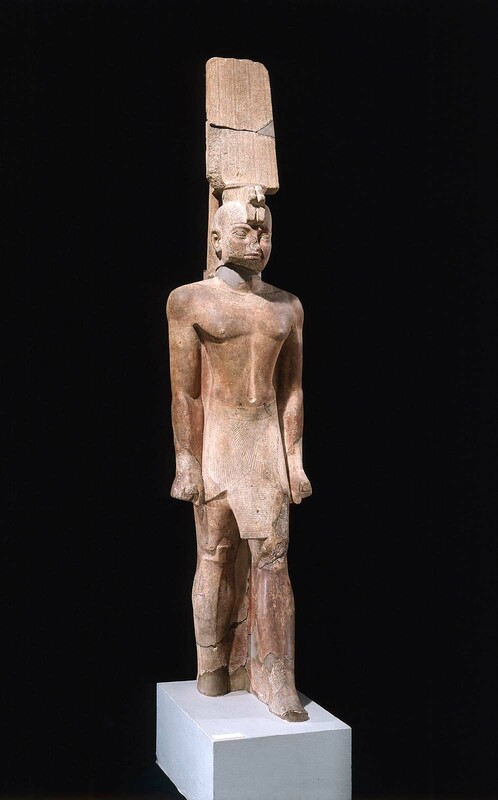 1916: excavated by the Harvard University–Boston Museum of Fine Arts Expedition; assigned to the MFA in the division of finds by the government of Sudan.